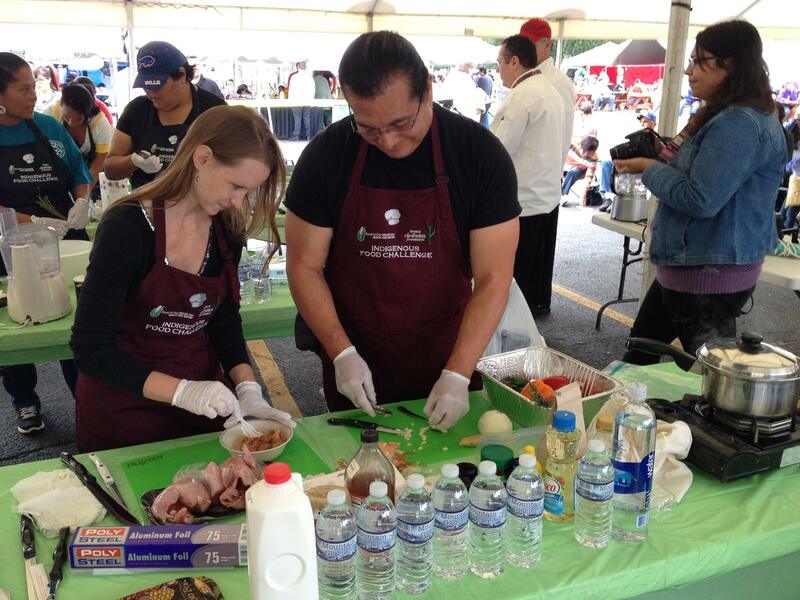 “Food is Our Medicine” is a phrase commonly used by naturopathic healers and Native people expressing the need for a return to a more traditional diet less filled with processed foods. 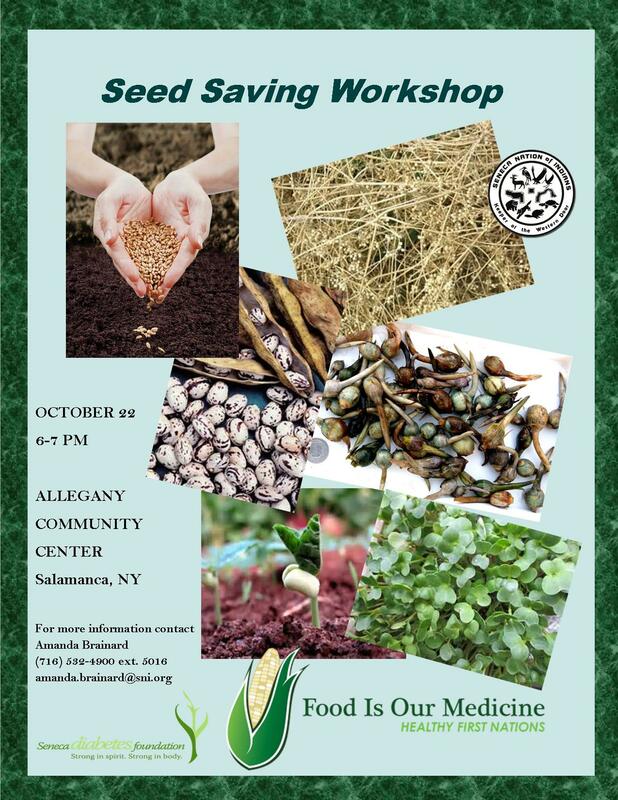 The Seneca Nation (located in what is now western New York) has created an entire project based on this premise; the Food Is Our Medicine project seeks to encourage healthier eating, through gardening, canning, and education about the benefits of traditional plants and the drawbacks of factory farming and processed foods. 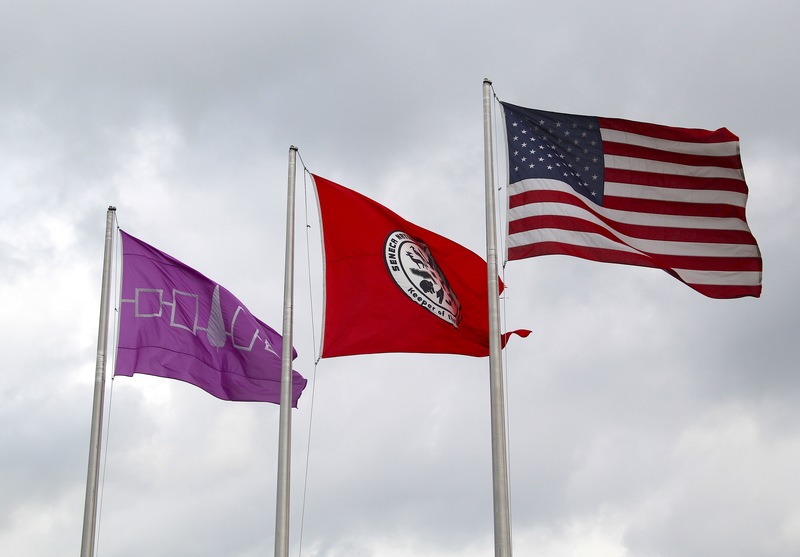 The Seneca Nation is the “Keeper of the Western Door” for the Haudenosaunee Confederacy (also known as Iroquois or Six Nations, or Hodinöhsö:ni’ in the Seneca language), because they were located at western edge of the league territory. 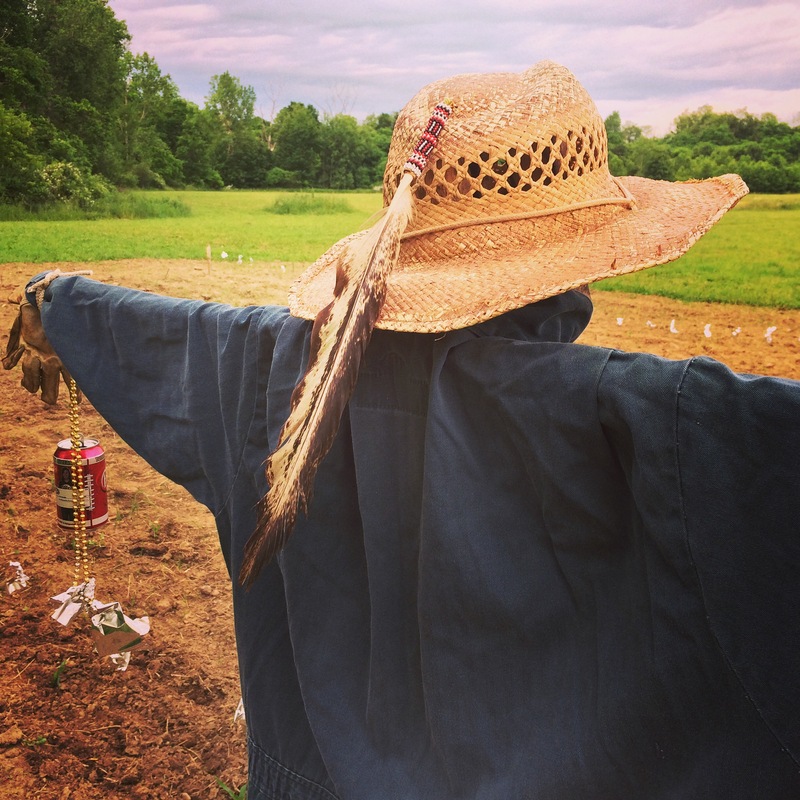 In the Seneca language they are known as Onöndowa’ga:’, (pronounced: Oh-n’own-dough-wahgah) or “People of the Great Hill.” As described in the Oneida post, historically the Haudenosaunee were great farmers, cultivating acres of corn, beans and squash by hand (known to the Seneca as as Jöhehgöh,”the life supporters.” ). These great fields were disrupted in the late 18th century, as American settlers pushed west, and a series of treaties, some fraudulent, whittled away at the Seneca landbase. 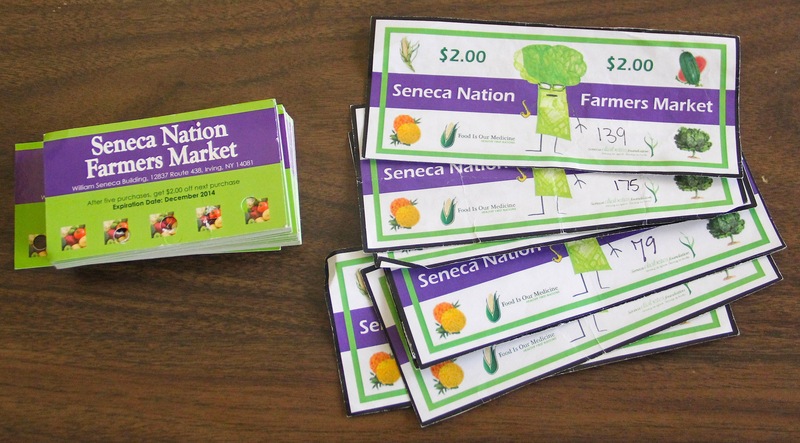 Some Seneca people moved north to the Six Nations reservation in Ontario. Conceding to the push of the US government determined to relocate as many Native people as possible west of the Mississippi, some Seneca who had previously lived in Ohio were relocated to Kansas and later Oklahoma, and now comprise the Seneca-Cayuga Tribe of Oklahoma. 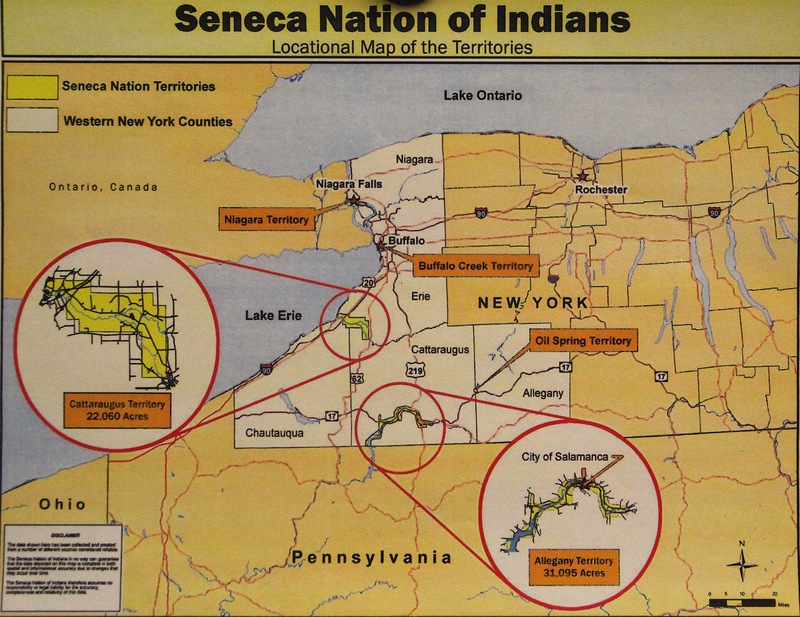 Among those who remained on the Allegheny and Cattaragus territories, the Seneca people split in 1848, with the Tonawanda Band of Seneca Indians separating to maintain a traditional form of tribal government, and the Seneca Nation of Indians forming an elected government. 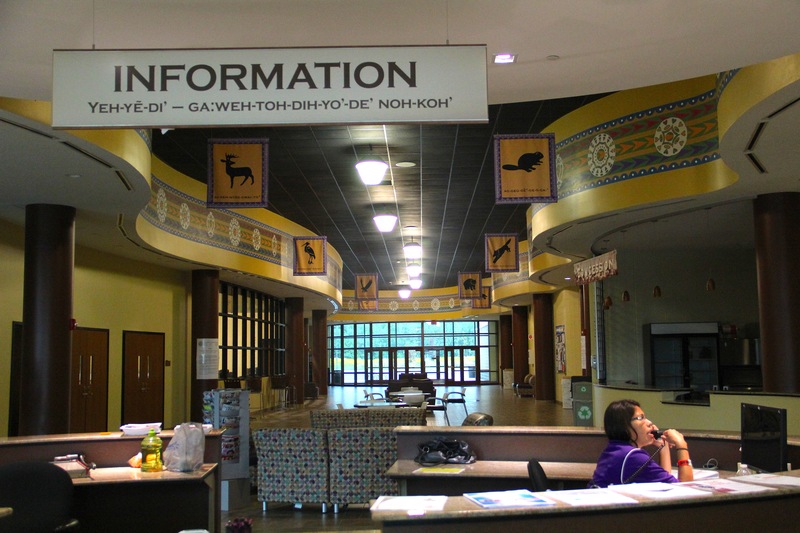 Today the Seneca Nation of Indians has about 8,000 enrolled members, and holds title to five territories in New York: Cattaraugus, Allegany, Oil Spring, Niagara and Buffalo Creek, with residents on the first two and business enterprises on the later three. The Allegany Indian Territory originally included 30,469 acres of land surrounding the Allegheny River, of which some 10,000 acres were inundated by the Kinzua Reservoir when the Army Corps of Engineers built the Kinzua Dam in 1964 (in violation of the 1794 Pickering Treaty). The Cattaraugus Territory, about a 40 minute drive north, is comprised of 21,618 acres in Cattaraugus, Chautauqua and Erie counties. 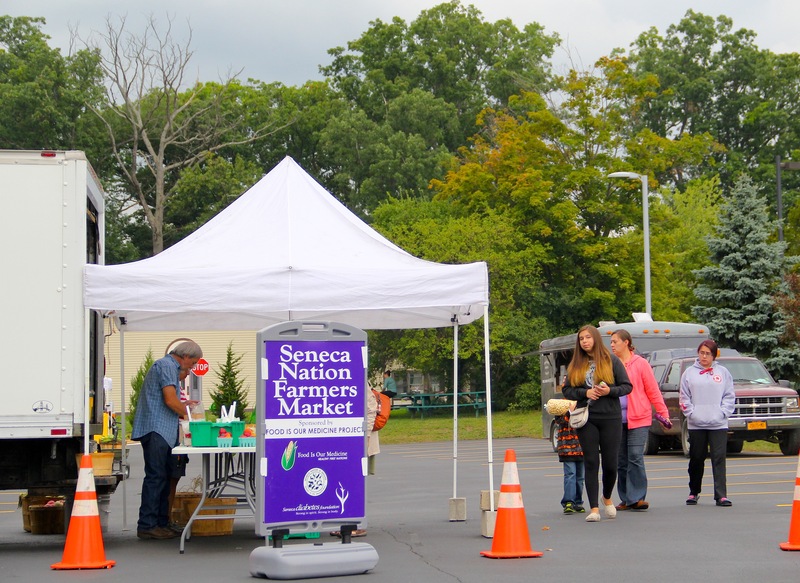 Like many Native communities, the Seneca Nation suffers from high rates of diabetes and other metabolic disorders, due in part to a shift away from traditional foods. 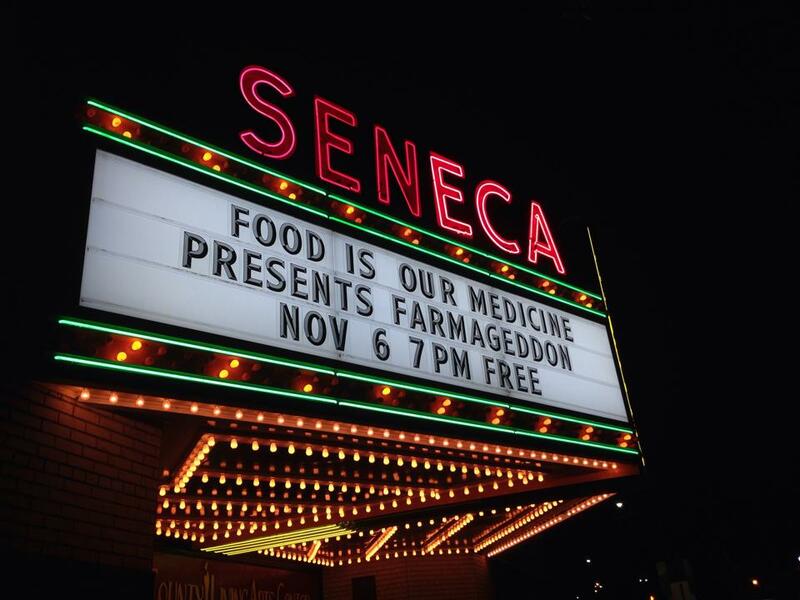 The Seneca Diabetes Foundation is working to address this. 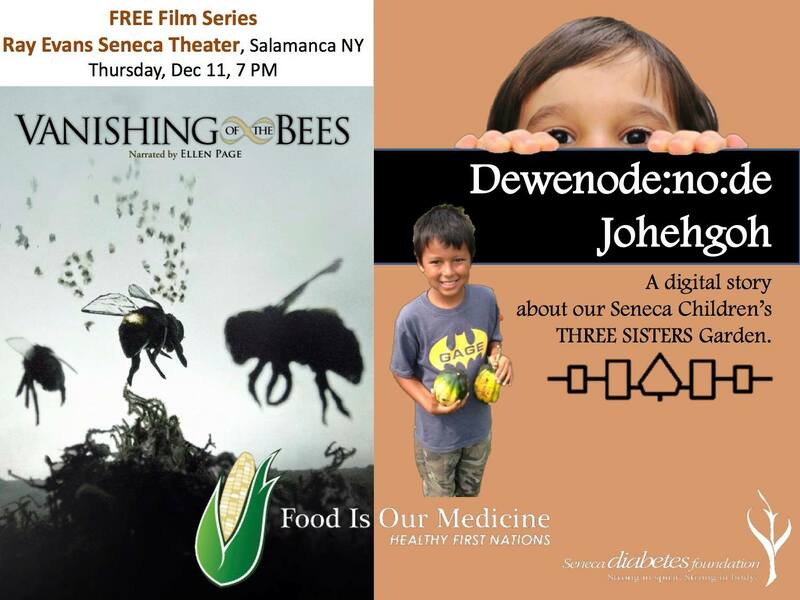 Focused specifically on improving the diets of Seneca people through education and making more fresh food available to people, the Food Is Our Medicine project is a partnership between the Seneca Nation of Indians and the Seneca Diabetes Foundation (SDF). 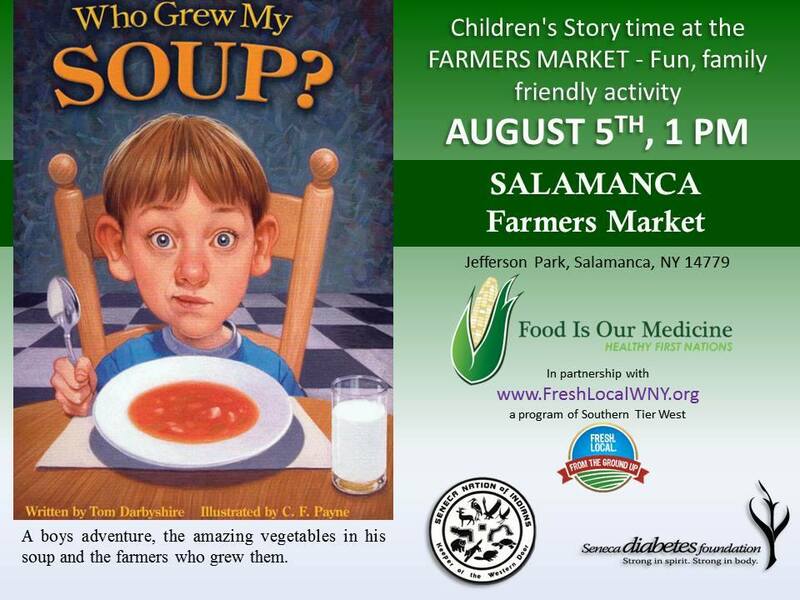 As the project’s director Ken Parker (Seneca) describes, FIOM is “really about addressing the health and well-being of our community through gardening, and through restoring, preserving, and maintaining our nutritional food ways and culturally significant plants.” I had the opportunity to hear Ken present in June 2013 at Albany Medical Center’s “HIV and the Circle of Life” conference, and at the Great Lakes Indigenous Farming Conference in March 2014. On September 2, I stopped by to visit Ken at work on the Cattaraugus reservation. Before becoming professionally involved with plants, Ken was in the Marines. As he told a room full of health care providers during a June 2013 presentation, “I was a Marine. When I talk to plants they listen!” Post-Marines, Ken was in the nursery business for over two decades. He ran a nursery at the Six Nations of the Grand River Reserve in Ontario called Sweet Grass Gardens, which dedicated itself to growing only indigenous plant species. There, he helped to develop, institute and deliver a program on the fundamentals of horticulture for Native students, as well as a horticultural apprentice program and a plant technician program, to get more Native people involved in cultivating indigenous plants. A few years ago he came back to the Buffalo NY area where he was originally from, and worked in other nurseries, establishing a native plant line at each. 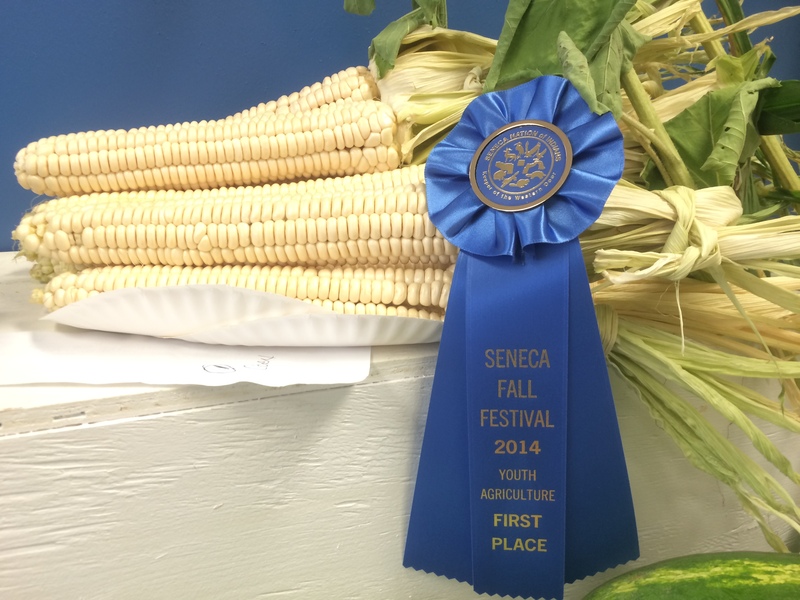 He was then approached by the Seneca Diabetes Foundation board members who were interested in establishing a new health initiative that involved gardening. Interested in working with plants and people, Ken took the opportunity to work for the Nation, and for the past two years has been working hard to promote healthy eating and native plants. One of the topics that Ken is most passionate about is promoting the growth and use of native plants . 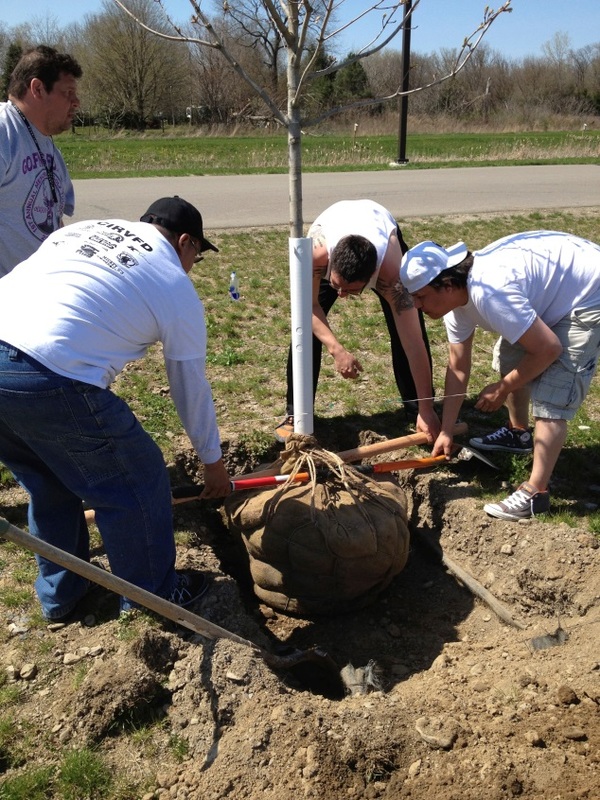 When Ken first began working for the Nation, he was surprised to see that although there was a program about maple sugaring held at the community center, the landscapers had planted 31 Norway maples around the center. 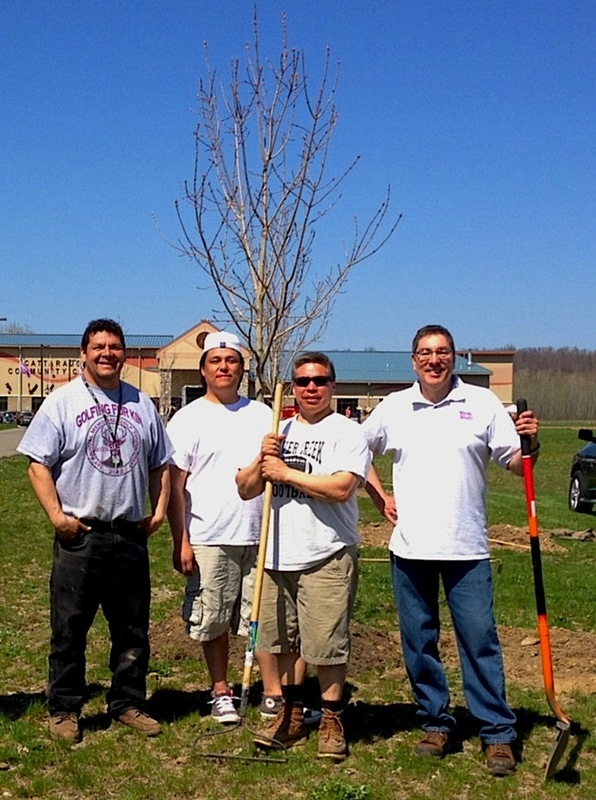 Ken worked closely with the Cattaraugus Community Center staff to have to gradually remove those trees, and plant native sugar maples planted in their place. 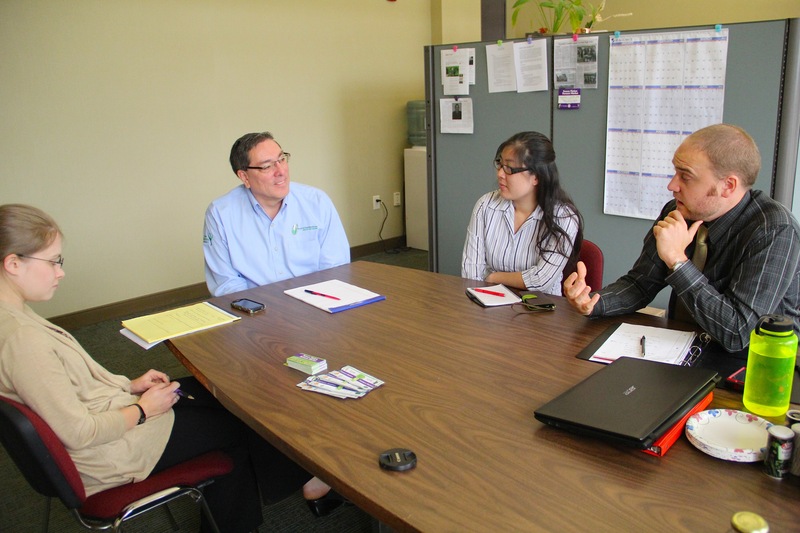 Utilizing the Nation’s Planning & Development Department and Grant’s department resources, Ken created an official plant policy for the Seneca Nation, which was passed in March of 2014. 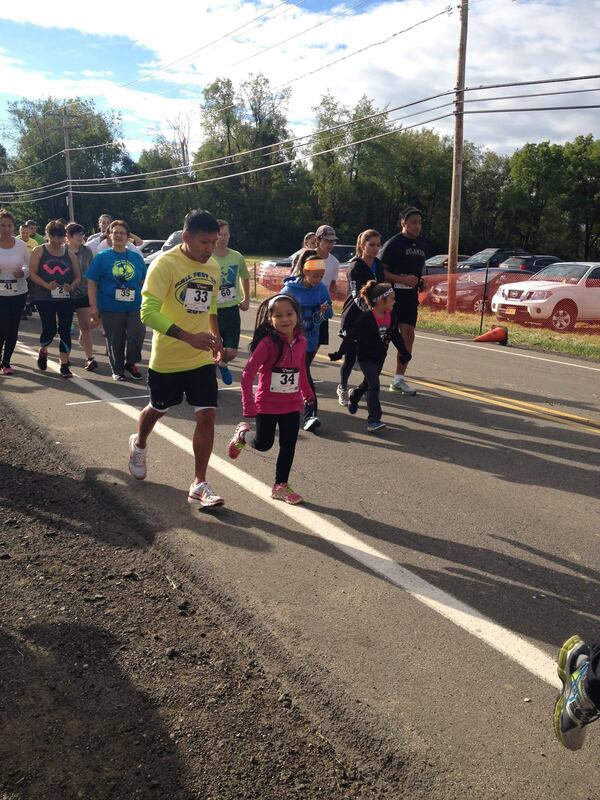 This is historic legislation, and the Seneca Nation is the first to pass a policy like this. 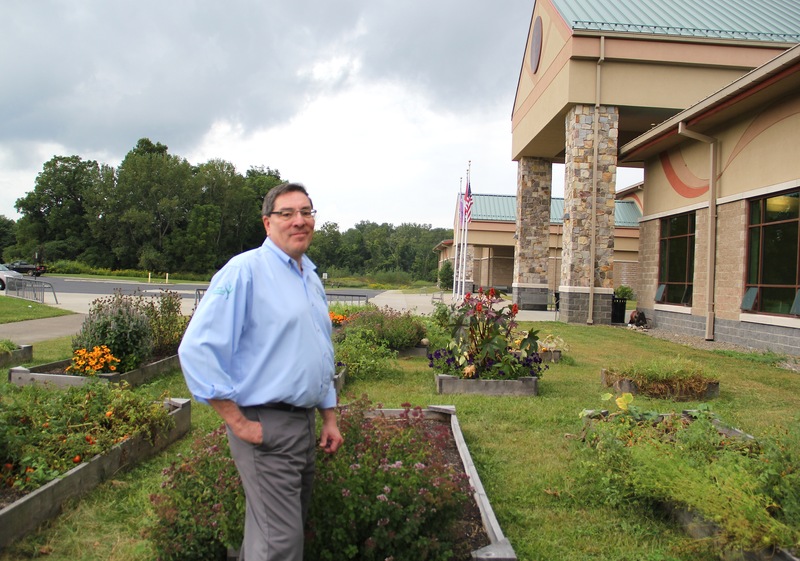 Ken created a no planting list, a native plants of Allegany County list, Cattaraugus County list, and an Erie County list, and the Nation agreed to use only these native plants in future landscaping. (Ken is quick to point out that this policy does not apply to individual tribal members, who can plant what they want on their own property, although Ken is encouraging everyone to focus on native plants.) 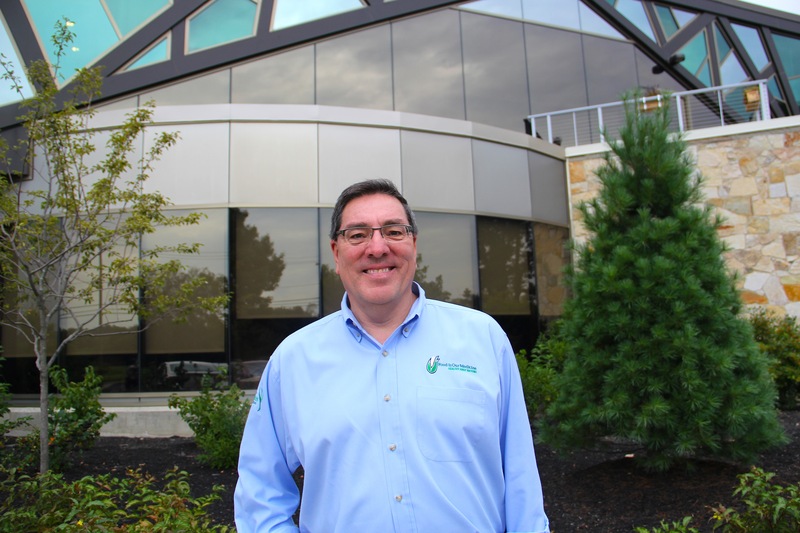 Ken also worked with the New York State Department of Transportation (NYS DOT) around using native plants in highway projects, and has been invited to present at conferences the US and Canada. In deciding which plants made the list, Ken wanted to make sure to include not just medicine plants, but also plants that were used for dye, fibers, food, and other ceremonial purposes. In delineating what qualifies as a “native” plant, he is very particular—the plant has to have existed in this region prior to the incursion of Europeans. This has caused some disgruntlement among women who use plantain (plantago major, a plant brought by the English three and a half centuries ago) in their salves, and call it a traditional medicine. For Ken, plantain’s history on this continent pales to the thousands of years that native plants have been used by the Seneca. “You want to use a European plant as your medicine, I’m not here to debate that, you know. But I’m going to say that it’s not indigenous to North America. 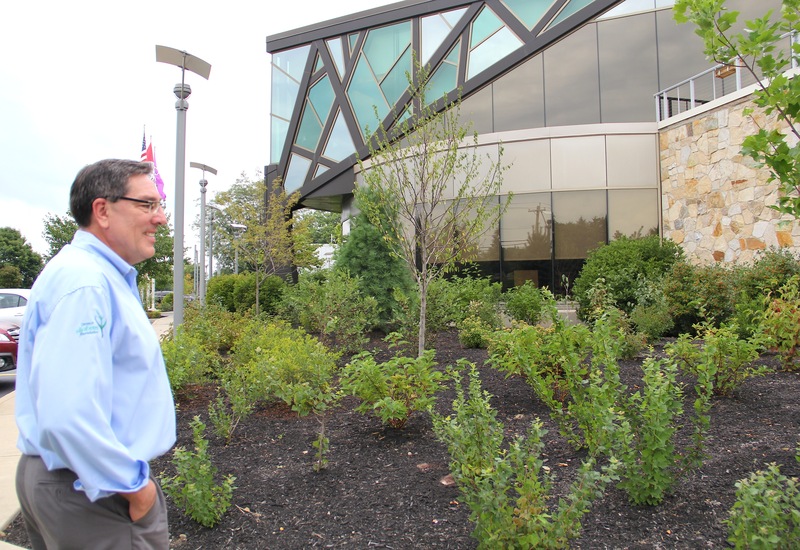 It’s not a native plant.” But those plants that do qualify can be found surrounding the William Seneca Administration Building, where Ken has removed the fancy grasses, Dutch bulbs and herbaceous shrubs, and replace them with an array of indigenous plants. In a tour around the building, he pointed out a few of the 25 species now planted there: winterberry, gray dogwood, black chokeberry, bay berry, hazelnut, and high bush cranberries, all of which are culturally relevant to Seneca people. 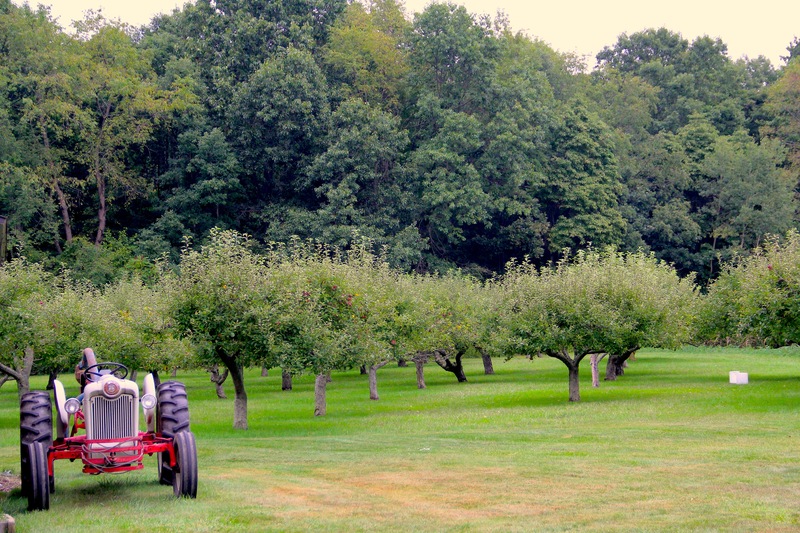 Ken describes his effort as “getting our lawn and garden off of drugs” by using integrated pest management and eliminating the need for pesticides and herbicides—which the common lawn is dependent on. And how often do most people get to graze in front of their office on the way to work? 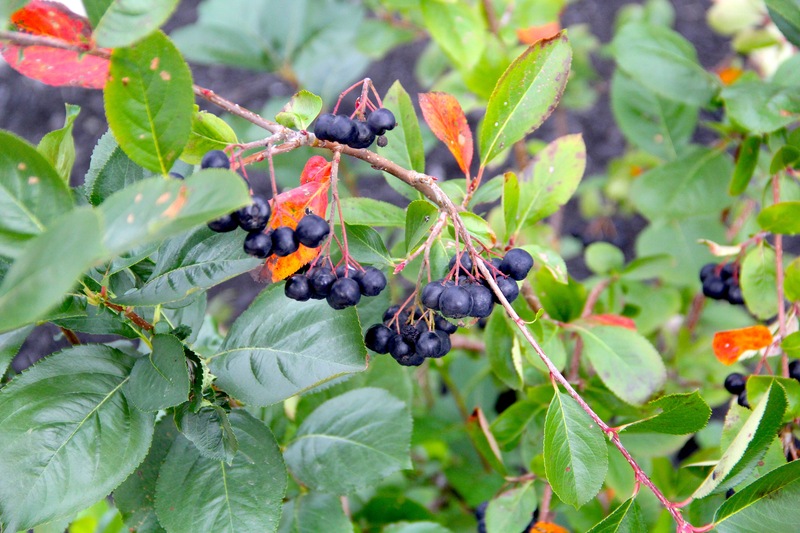 If you ever get the chance to stop by the William Seneca building, try the black chokeberries—they’re quite unusual. 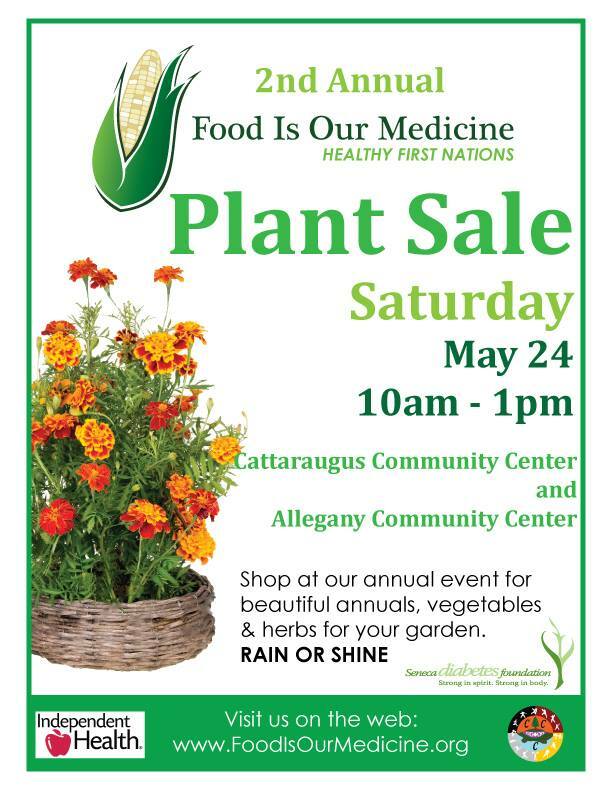 In front of the Cattaraugus Community Center is a community garden comprised of raised beds in the shape of the Hiawatha belt. Different families, organizations, and individuals have taken responsibility for the boxes, cultivating herbs like rosemary, basil, parsley, bergamot, hyssop; vegetables like tomatoes, okra, squash, cucumbers, onions, and peppers; and ceremonial plants like tobacco and sweet grass. Marigolds were also scattered among the boxes, to keep away insect pests. Inside the community center, we walked past the basket ball court and people playing lacrosse in the indoor arena, to the back of the center where the vending machines sit. Ken stood measuring up his adversaries: his next goal is to have at least half of the food and beverages in these machines be healthy choices. “Am I a bad person if I eliminated Pepsi, Coke, sodas from these?” he wondered out loud as we stood there. 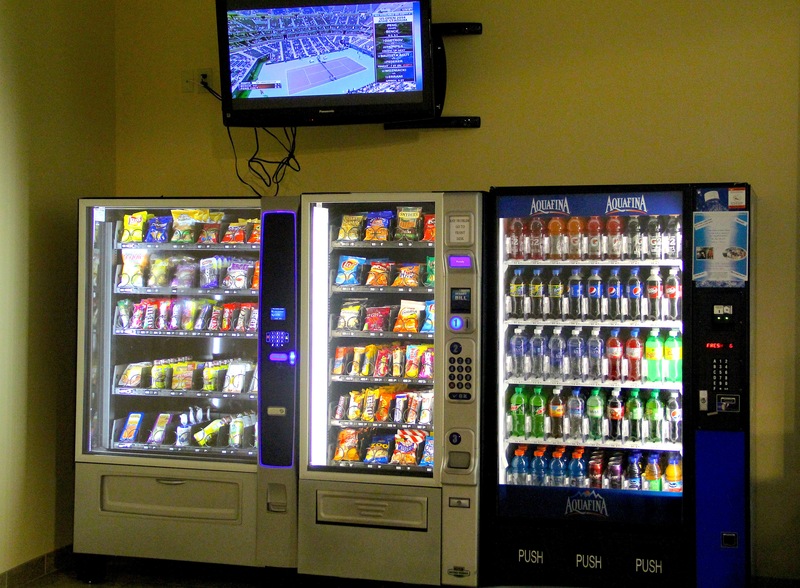 People in his office building have already warned him about taking their favorite snacks out of the vending machines there, so he recognizes change will be gradual in this area. 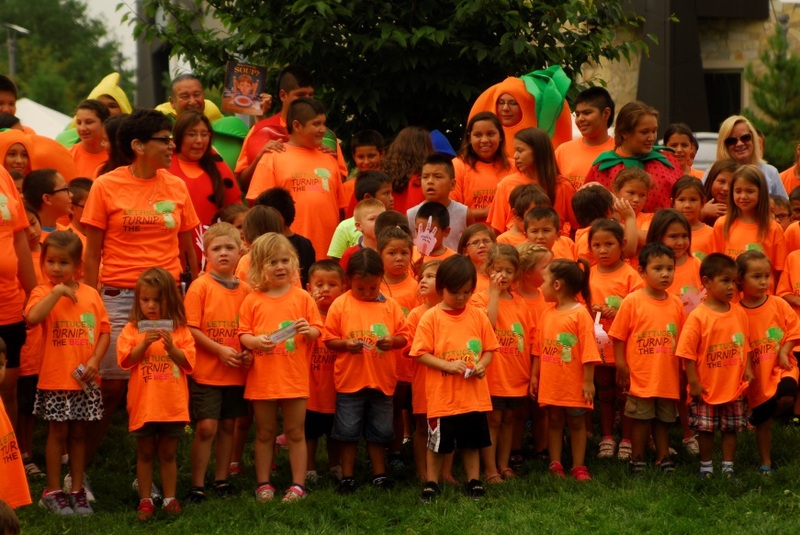 Food Is Our Medicine is also working with the Cattaragus Early Childhood Learning Center (ECLC) to incorporate gardening into the curriculum for young students. 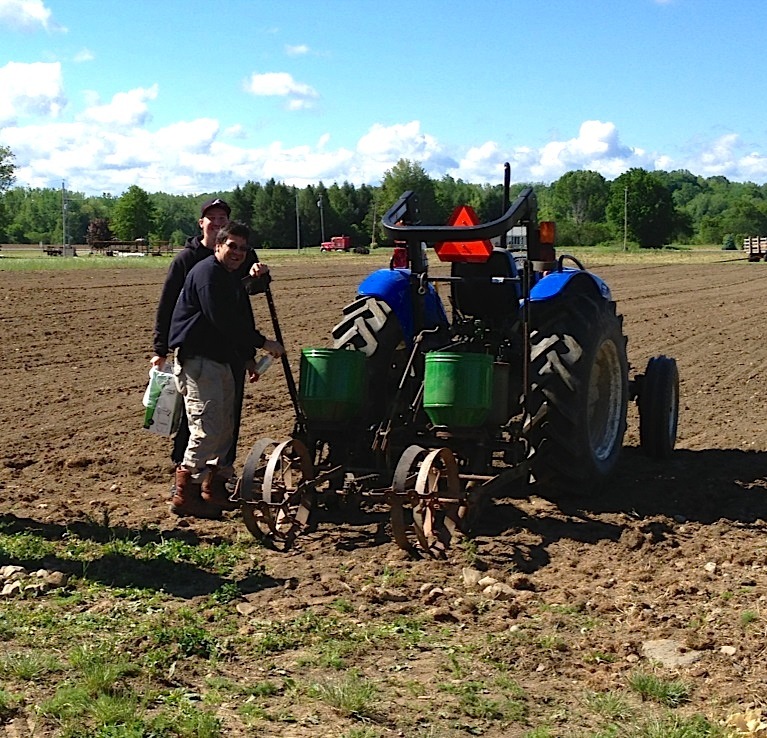 ECLC built 10 raised beds, and planted ¼ acre of white corn, beans, squash and sunflowers by hand. 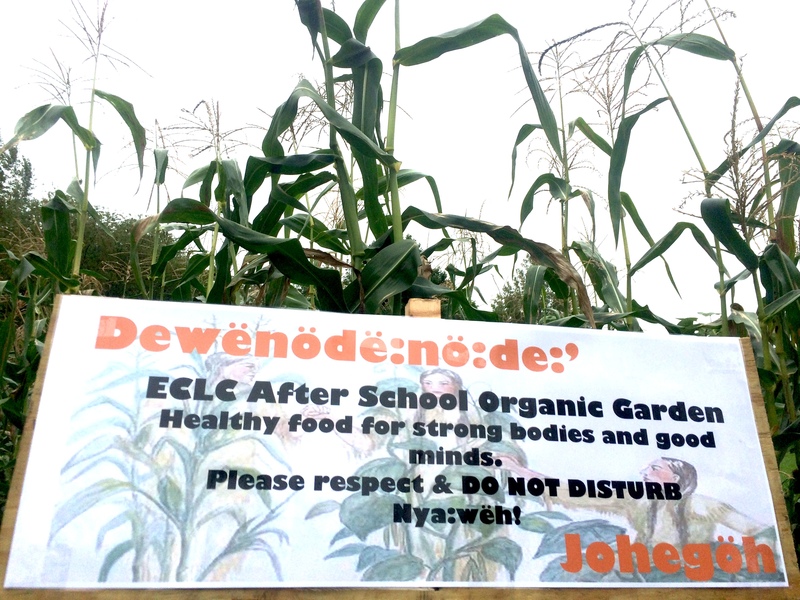 The ECLC in Allegheny, to the south of Cattaraugus, also hosted a summer program focused on healthy eating, and built 3 raised beds. 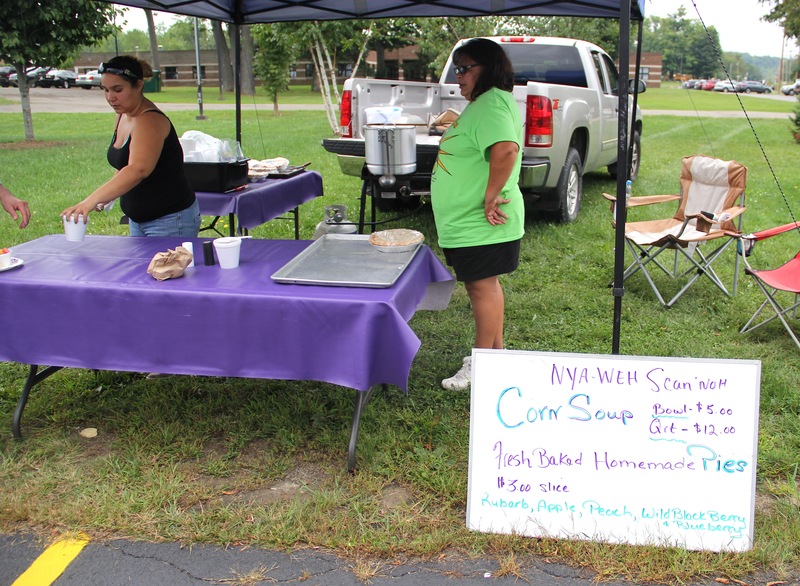 At his June 2013 presentation, Ken commented that when he was in Six Nation for nearly two decades, white corn, a staple ingredient in traditional Haudenosaunee food, was available in stores and even at gas stations. This made it easy to acquire the ingredients for a traditional meal at a moment’s notice. 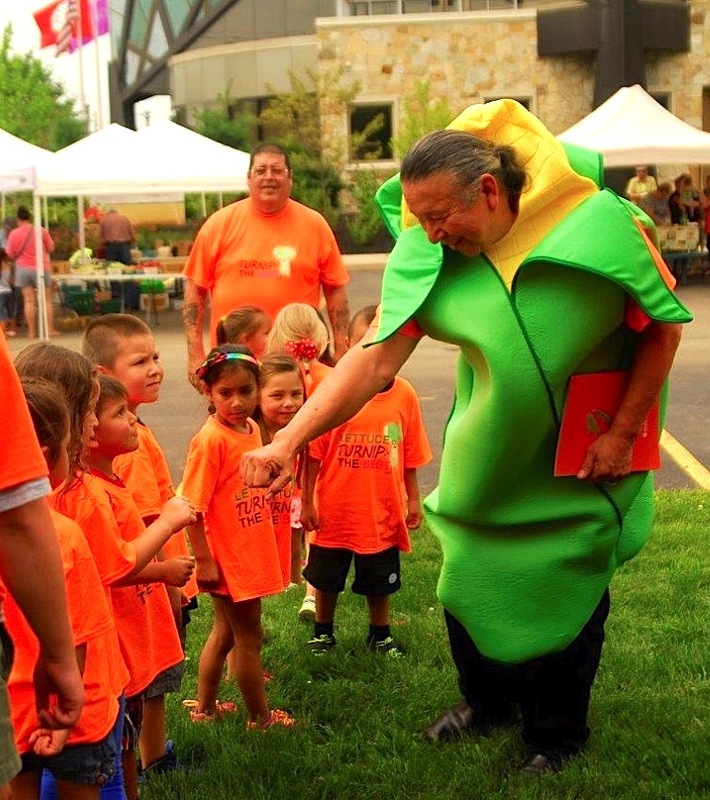 When he got to Seneca Nation, he found that white corn was no longer readily available. 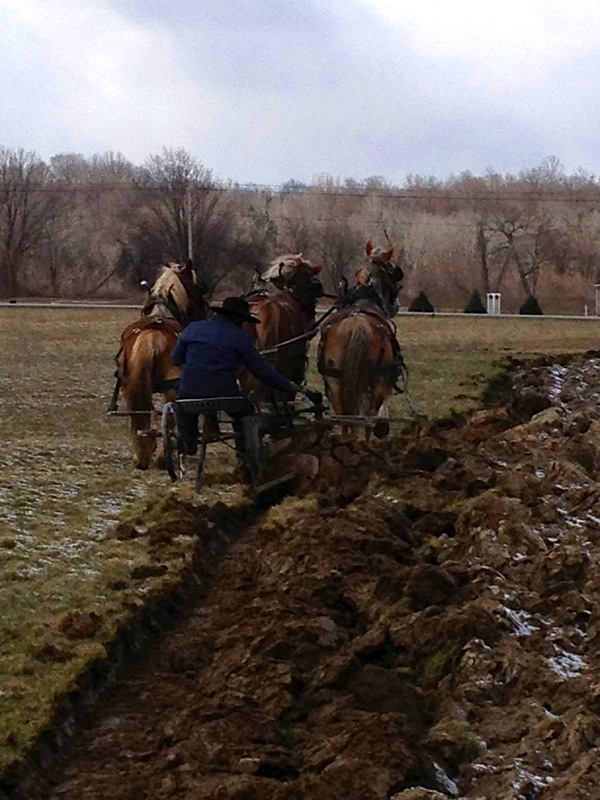 He remarked, “I think that‘s a shame, and we need to do something about it because that’s our corn and also promoting native plants; it goes hand in hand.” In its first year, Food Is Our Medicine partnered with the Amish community and plowed and cultivated a field of white corn in front of the Cattaraugus Community Center with a horse and plow. 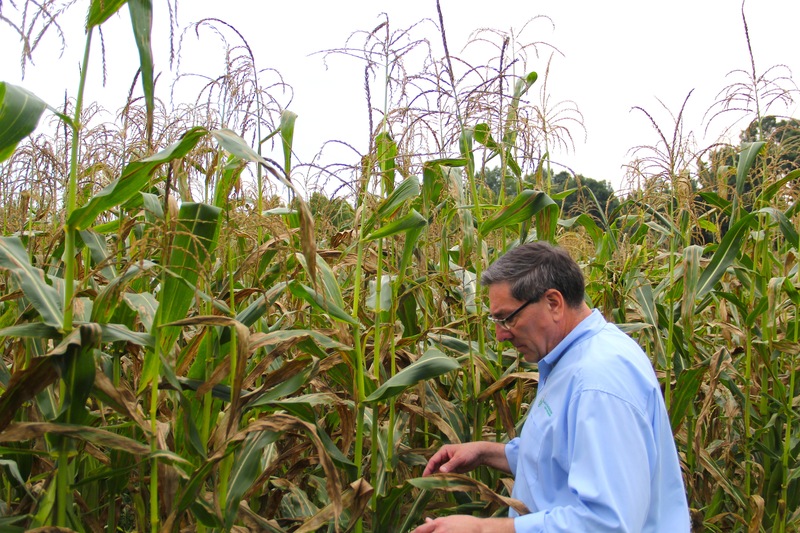 This year, a local farmer Greg Jimerson donated his time and equipment to plant the corn. 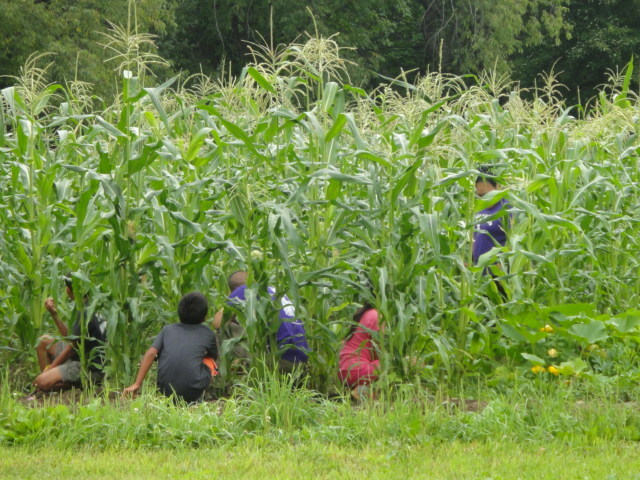 In addition, this year FIOM also partnered with the local Mormon church who grew an acre and a half of white corn for the project. 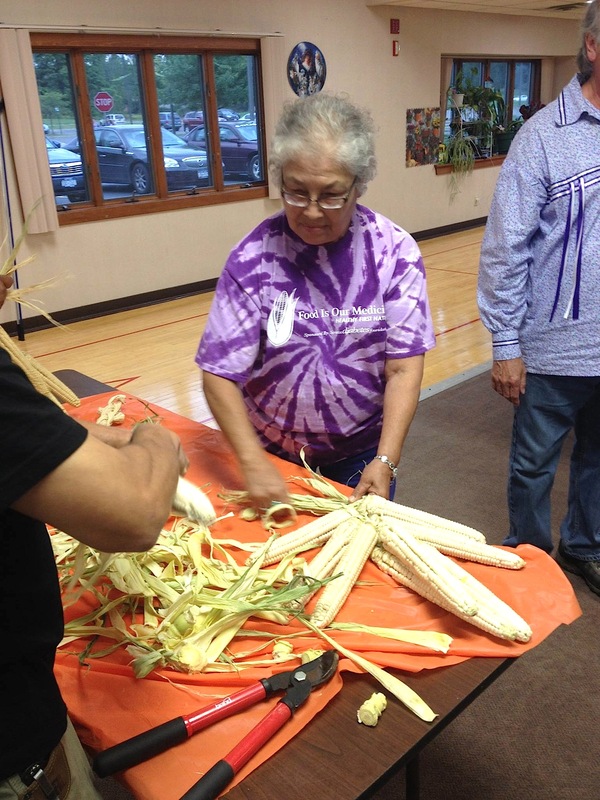 In the fall, FIOM hosted a you-pick event for community members to harvest the corn. 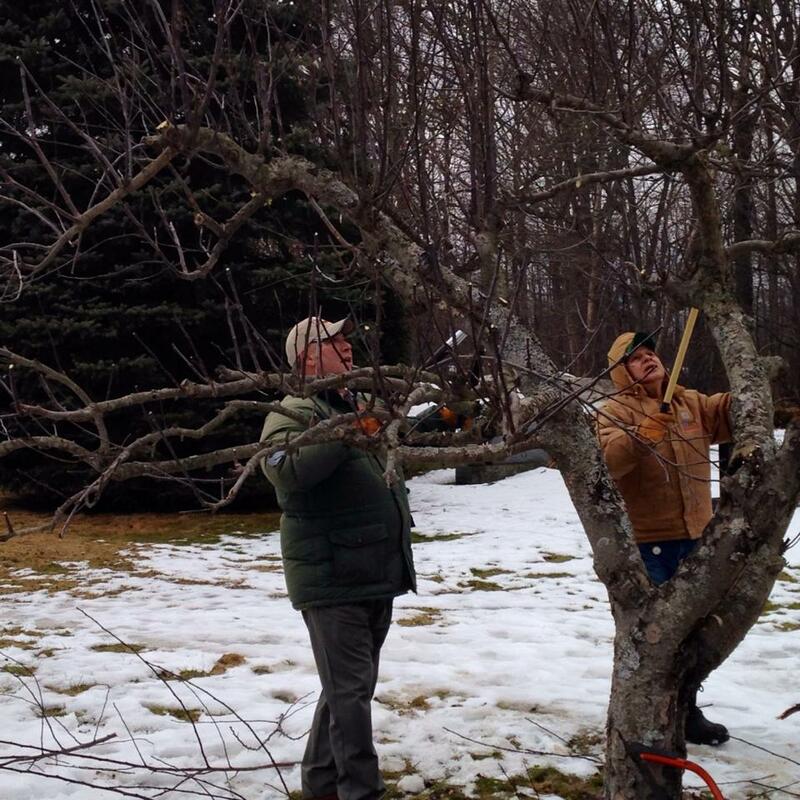 FIOM also utilizes the orchard behind the Mormon church, hosting pruning classes and applesauce canning workshops. 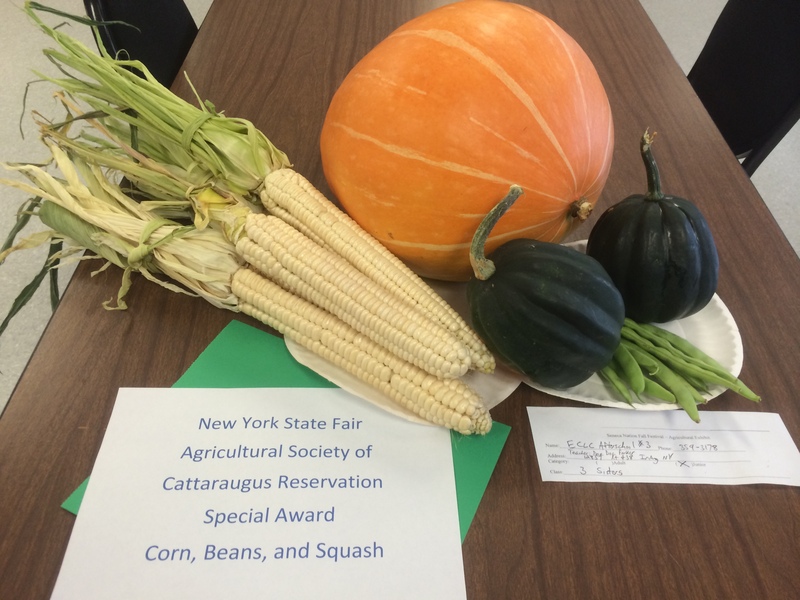 In addition to promoting horticulture, Food Is Our Medicine also sponsors a number of educational and cultural events geared towards sharing information about healthy eating and living. Once a month they host the Elders Sharing Circle, during which they have elders and community members come in and talk about plants that are significant to the culture. 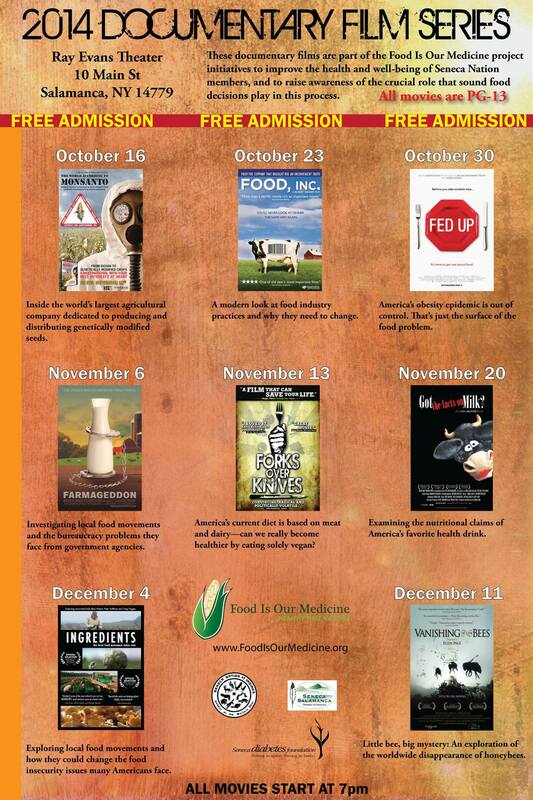 FIOM has also done canning workshops. They forged a partnership between Seneca Nation and the Amish community, who came up with contraption for canning that allows them to can 120 jars at a time. 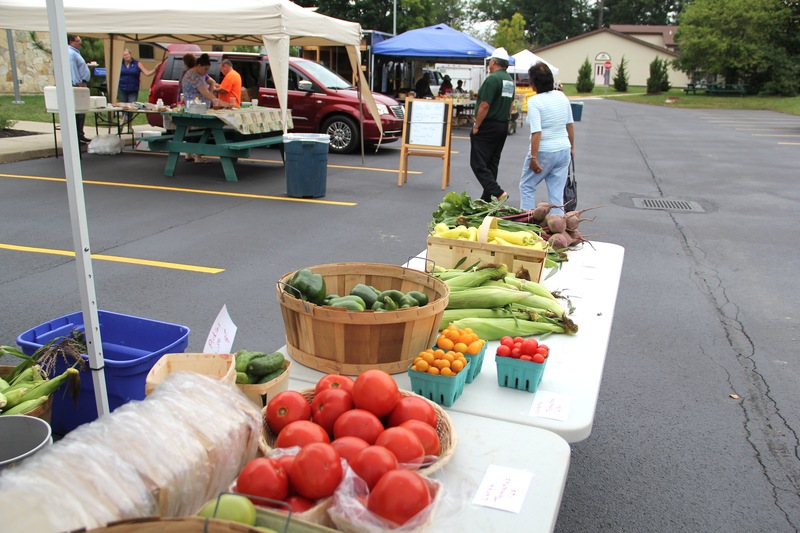 In 2013 they did 3200 jars of peaches, tomatoes, salsa, and applesauce. Another popular event has been the Indigenous Food Challenge, modeled after the Food Network show “Chopped.” The first year, they gathered three chefs and gave them each a mystery basket with indigenous foods: polenta, squash, potatoes, roasted corn, and ground bison, from which the chefs had an hour to create a meal. 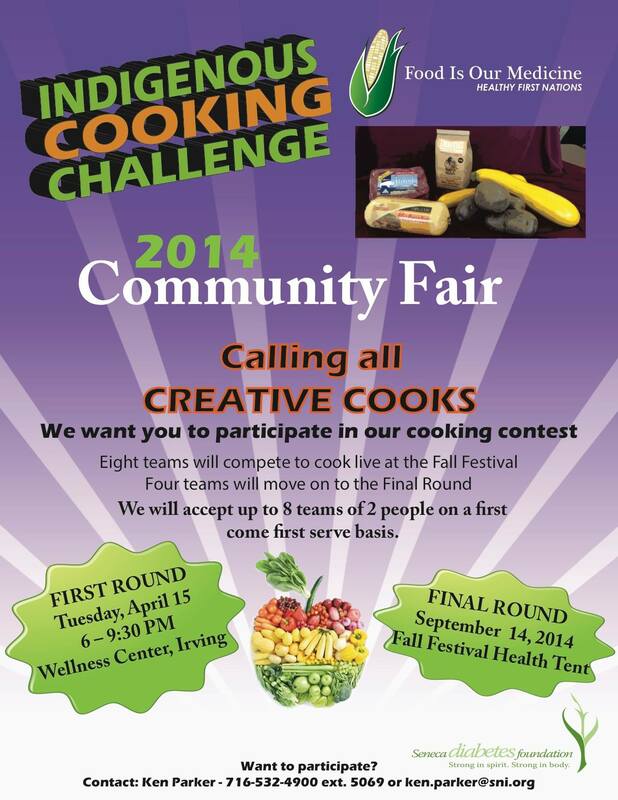 The event was so popular that during 2014, they had a spring cook off to narrow down the 8 teams to four for the fall event. This fall’s mystery ingredient basket included a whole rabbit, wild rice, roasted Iroquois white corn flour, and wild bergamot. U.S. Healthcare: Most Expensive, Least Effective System in the World. Here’s the fix… | Conquer Fear and Live Free! I’m excited to discover your website and look forward to following your activities. 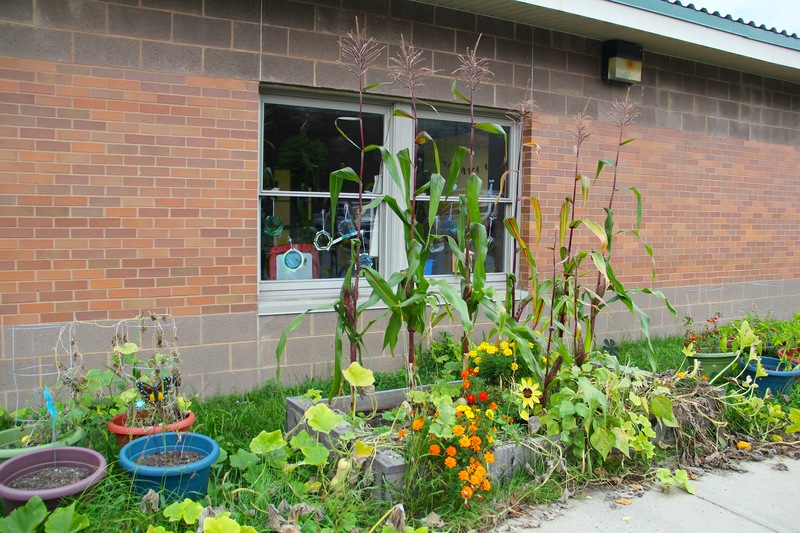 I advise an elementary school garden K to 6th graders, growing food, prairie plants for pollinators and medicinal plants.